Further expansion plans are already in placed for the establishment of TH Hotel Kuching and TH Hotel Johor Bharu, which are expected to be operational by the year 2016. There are plans for THHR to spread its wings even further i.e. internationally, and to date few cities in the Middle East and Europe have been identified. THHR aspires to be the most professionally managed and well renowned Global Shariah Compliance Hotel in the world. 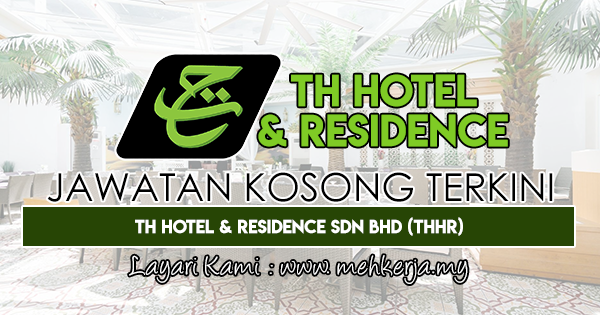 0 Response to "Jawatan Kosong Terkini di TH Hotel & Residence Sdn. Bhd (THHR) - 9 Nov 2018"